I keep saying desserts aren’t my thing. And for the most part, they aren’t. I rarely make them and I typically don’t order them. My tastes tend to favor the savory side of the menu. 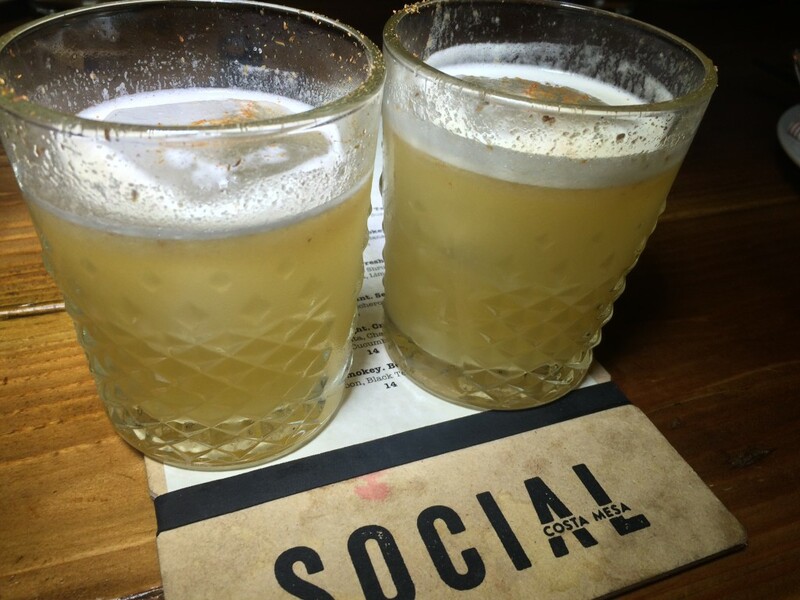 But after being invited to try several of Social’s pastry chef, Ashley Guzman’s creations one recent evening, I am going to have to reconsider this bias. Seriously, Ashley is gifted and has a talent for combining familiar and sometimes less familiar ingredients with delightful and memorable results. Her desserts unlike those on so many menus are ones you most likely would never attempt trying to recreate at home and more than likely won’t find on menus elsewhere. So what was on the dessert menu on this particular evening? We started with Cheat Day, a devils food chocolate cake, with chocolate two ways, hazelnuts and banana ice cream. 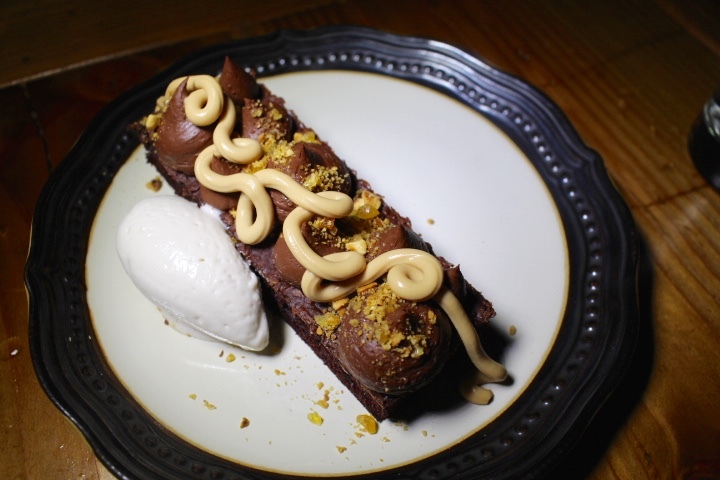 Every dessert menu must include a chocolate option for the chocolate lover. For anyone who loves chocolate and hazelnuts… I’m talking to you Nutella lovers… this is your dessert. For me, however, I crave texture and what better texture is there than filo dough? In this case, homemade filo dough. 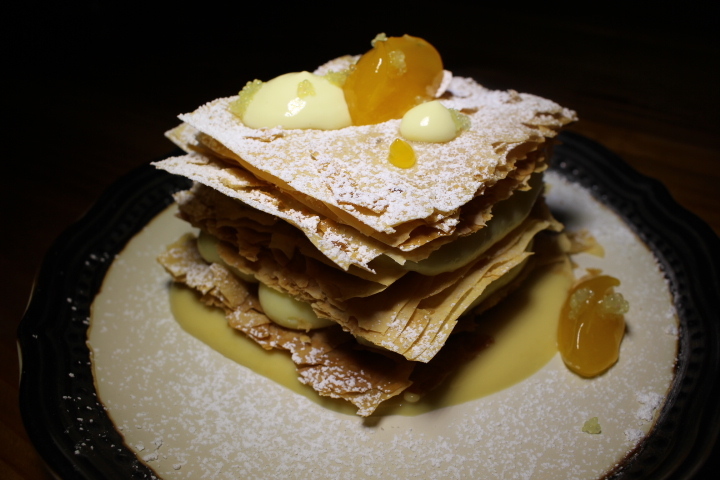 And that’s just the start of this dessert, the Waterloo. Sandwiched in between this light and crisp filo dough, is a slightly floral flavored kaffir pastry cream, garnished with coconut jam and mango, with little green caviar like citrus bursts of finger lime. It’s almost too beautiful to eat, but somehow I managed. 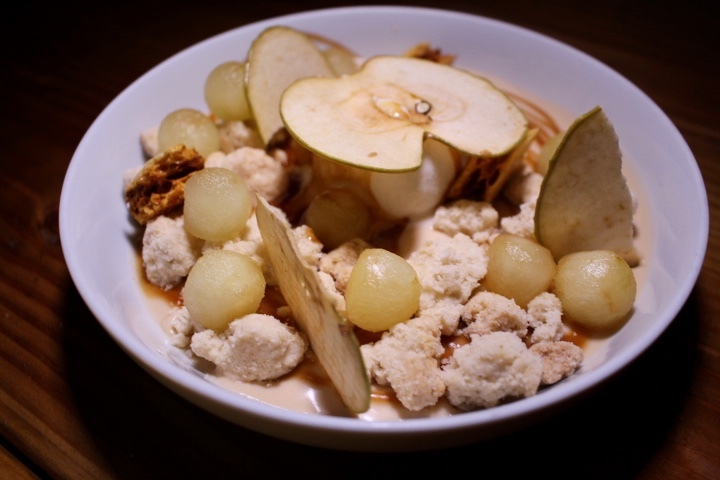 And finally, this one seemed to be our table’s favorite, though I go back and forth between this and the Waterloo… the Bonita Applebum, a compilation of apple cider panna cotta, Granny Smith apple balls, pie crust, honey comb, vanilla ice cream and an apple crisp slice. Think caramel apple with a creamy and crunchy texture. I could eat a bowl of that crunchy honey comb on its own and I’d eat bags and bags of those apple crisps if Ashley would package them. 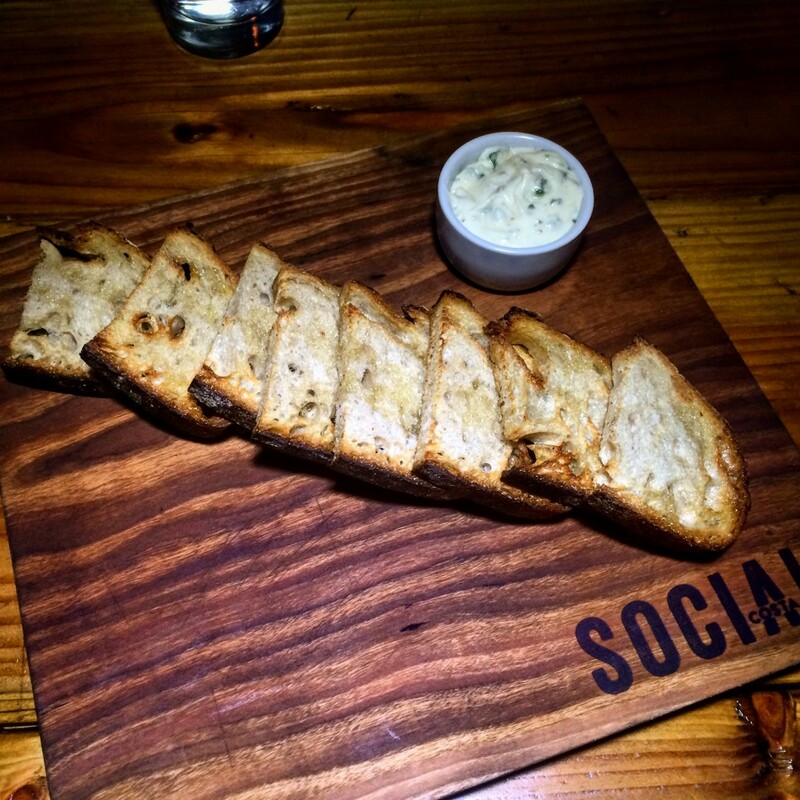 Grilled bread with smoky bone marrow butter. Every bit as delicious as it sounds. 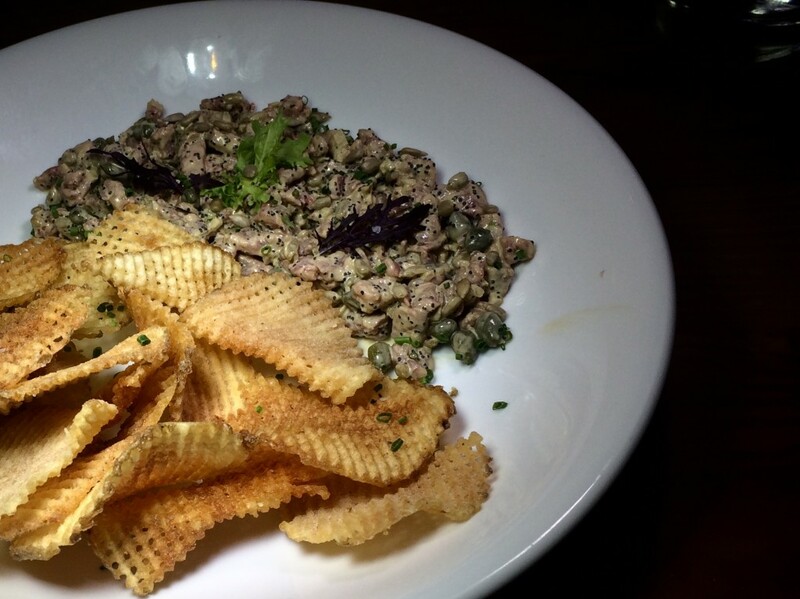 Wagyu beef tartar with smoked mussel aioli, capers, poppy seeds and sunflower. Along side are their crispy salt and vinegar chips. Insane. This is the fourth time I’ve been to Social and the fourth time I’ve had this dish and there will be a fifth. Brussels sprouts with house ham, crushed hazelnuts and honey which helps caramelize them. These would be great on their own, but then there’s this eye-popping mound of fried sweet potato strings on top. 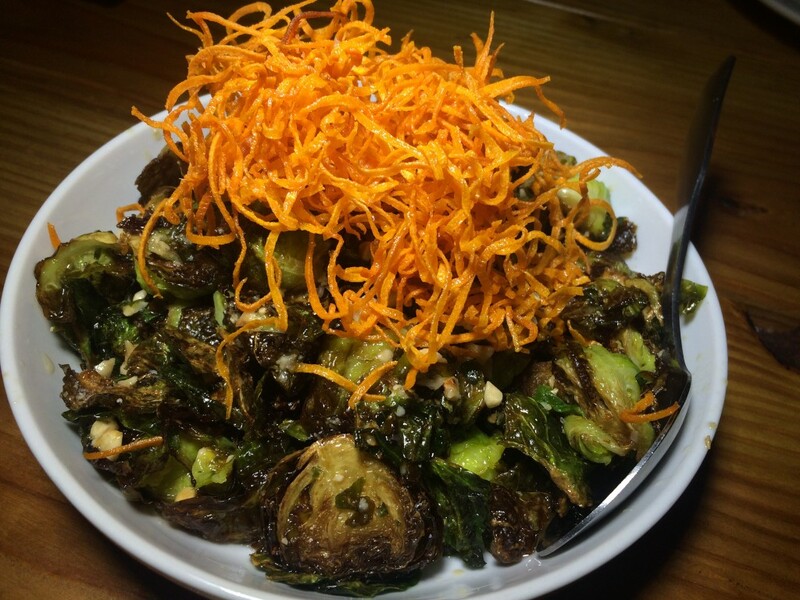 Every time I’ve been to Social the Brussels sprouts have been a huge hit! 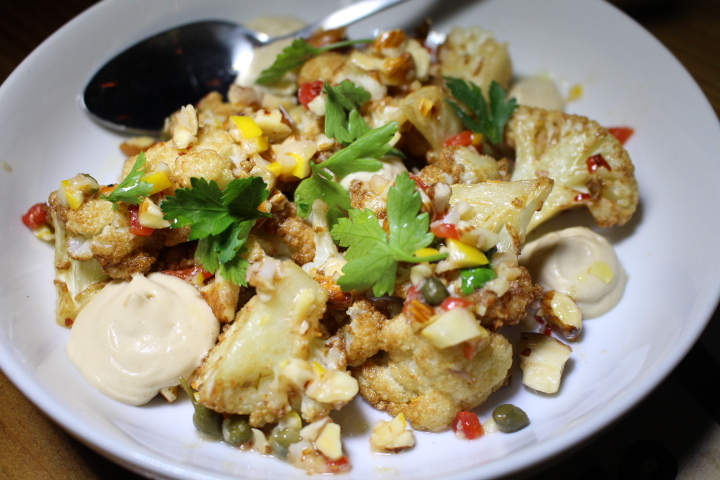 Roasted cauliflower with pecorino mousse, capers, almonds, Meyer lemon relish and chili flakes. I am no fan of raw cauliflower… much too dry. But roast it and I’m all in! 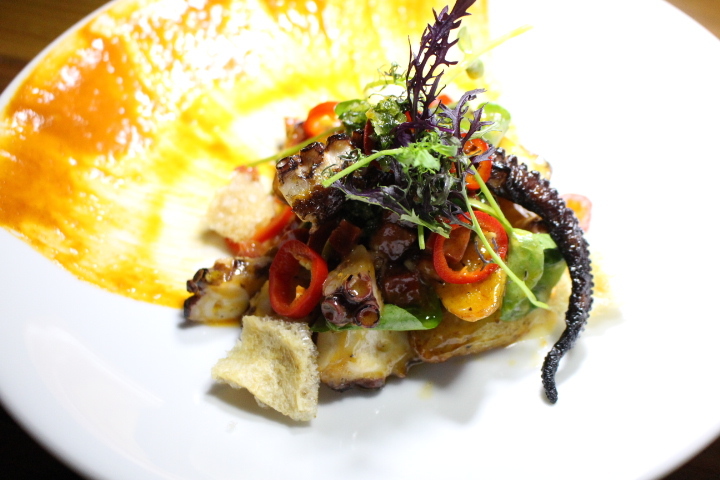 And finally, grilled Spanish octopus with Pamplona chorizo, fingerling potatoes, gremolata, smoked romesco and wait for it… chicharrones. As much as I love octopus, sometimes it’s just too soft for my liking. This was juuuust right. Swoon. Chef Boullt has a way with creating consistently beautiful, textural dishes that are packed with flavor. Not to be outdone, our bartender/mixologist had several cocktails up his sleeve for us. Starting with a little Monkey Business. This Caribbean inspired smoky drink has Monkey Shoulder Scotch, thus the name, sherry, banana, ginger, cinnamon and lemon. 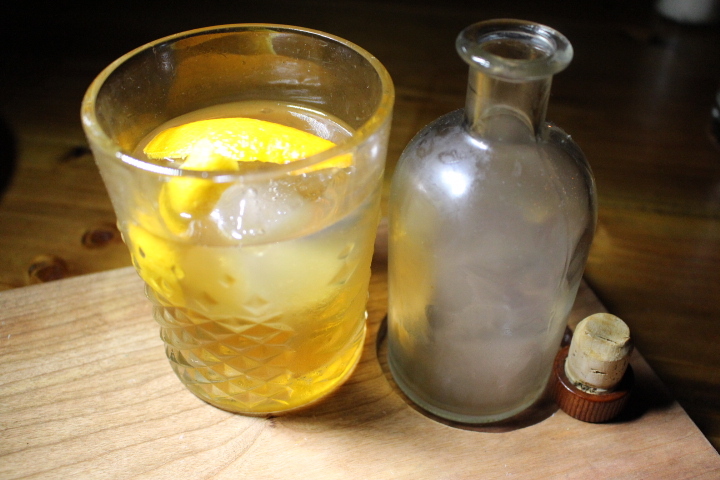 For the whiskey lover, there’s the Gunslinger featuring Rittenhouse rye, bourbon, black tea syrup, lemon and orange oil from zest and… smoke. And wouldn’t you, know there is also a dessert cocktail. The Celtic Bear Cat… these names! 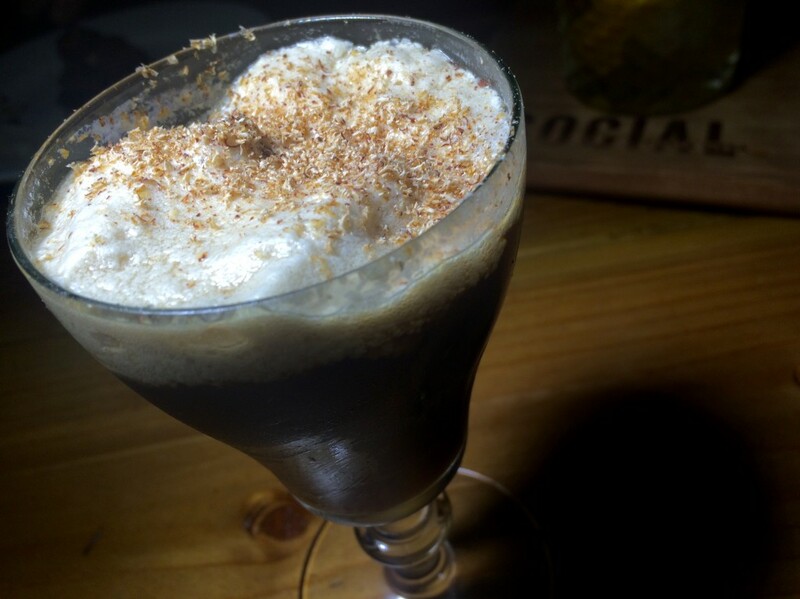 Part dessert part cocktail… the Celtic Bear Cat has Irish Whisky, Belching Beaver Peanut Butter Stout, bourbon, coffee and nutmeg. The perfect way to end our evening. 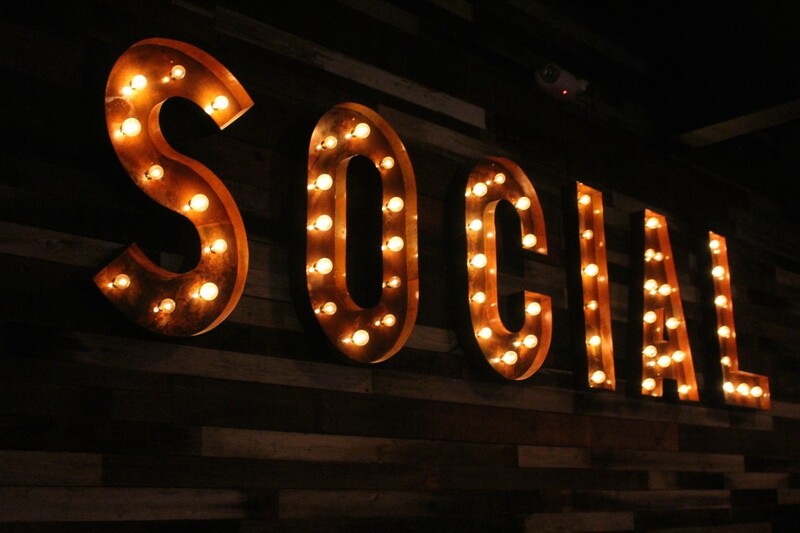 Social is located at 512 West 19th St. in Costa Mesa. Wow this place looks amazing! I have the same savory taste buds and looks like plenty of that here too. How in the heck do you stay so skinny Dana!? It really is good Caprice. You definitely have to give it a try! And thank you! !